Strategic legal advice, information governance and eDiscovery services, by professionals, for professionals. ​We bring a wealth of public and private sector experience to every project. Litigation, compliance and enforcement matters involve more documents than ever before. Reviewing those documents manually is an unnecessary drain on human and financial resources. As a result, it is now common practice to use technology to support document review. Law firms accept that controlling the cost of legal document review is a necessary component of good client service and is also a professional responsibility. Our document review clients are law firms and corporations who know that our exceptional team of bilingual lawyers and paralegals will save money and get faster and better results. Litigation is about strategy and facts. We work with our clients to define the objectives, understand the opponent, and focus on the outcome. Litigation tactics, evidence management and media relations all play a role in ensuring that our clients’ interests are being protected. We serve our clients outside the courtroom, and support the litigation team in the advocacy and argument. Acting as agents for clients, we will take the stress and burden out of the adversarial process, allowing our clients to run their businesses while we help run the litigation. Our goal is to build with our clients the justice of tomorrow, on principles of transparency, predictability and performance. Lawyers need the right software to assess, understand and prepare their cases. Our teams use a wide range of industry leading software and we keep informed about the latest developments in legal software development. We deploy and support Oproma's suite of in-place data indexing, identification, collection and organization software for litigation and information governance. For document processing and review our Ringtail environment offers an astounding depth and breadth of features including visual analytics, predictive coding and continuous active learning. We are proud to offer preferential rates, training and support for all of our managed software contracts. We put the best of technological innovation at the service of the performance of legal professionals. Our team is convinced that analytics is one of the keys to added value of tomorrow's legal professional. Privacy and the protection of privacy are core values of Canadian society. The right to privacy, however, must be balanced with other societal concerns such as security, justice and transparency of government. Information privacy is at the centre of that balancing act. Our legal team covers the full spectrum of privacy law and practice. We know that paper has not gone away. It is in good company: photos, negatives, audio, video, microfilm, microfiche and aperture cards etc. are all part of our information landscape. 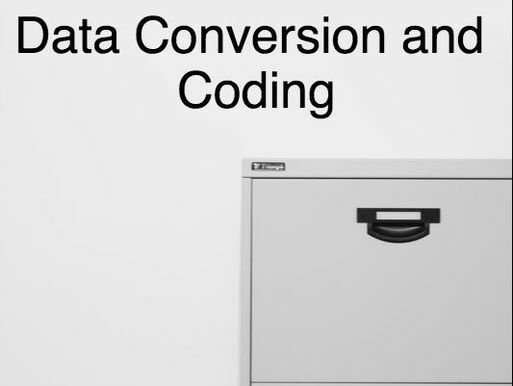 We offer a full range of end to end data conversion services to bring all of your content into the digital age. Whether it is for archiving, disclosure, or just to save space, we can arrange for your information to be digitized, objectively coded, OCRd and returned to you in a 21st century format. For legal matters, the chain of custody and protection of privilege is an important consideration, and we provide both. The public sector is under increasing pressure to deliver high quality, timely services to Canadians. Having the right people, technology and experience in place when it is needed is a longstanding challenge for public-sector institutions. We provide legal advice and services, enhanced by leading technology and technical support, on a wide range of projects. From litigation support and document review to information analysis and clean up for archiving or migration, we have a team and the tools ready to go. Our services range from full ATIP and FOIP management (including privilege and privacy review) to full service eDiscovery document management, review and production. We have everything in place to meet government security standards.